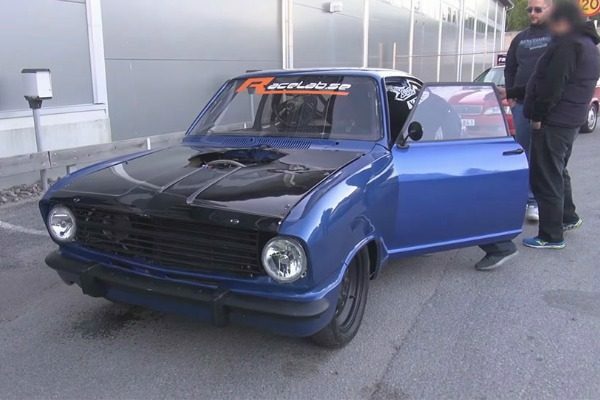 Home / Video / This 1,100HP Old Opel Kadett Is An Audi And BMW Killer! 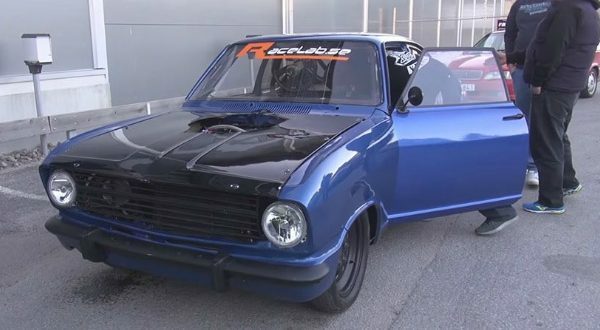 This 1,100HP Old Opel Kadett Is An Audi And BMW Killer! This Opel Kadett with 1,100 hp represents the real killer brands BMW and Audi. When designing the Opel Kadett, a German car manufacturers engineers certainly did not have 1,100hp beast in mind. Back in 1965, when the second generation of this model placed on the market, Kadett was stylish, simple, well-balanced car with adequate line engine. Thanks to its wide chassis, the Kadett has also had a very distinguished career in motor sport, with the option that had a line of 1.9 liters, 105 hp Rallye Sprint version of the driver circuit, located in the series based on the coupe. Rallye Sprint version is more than a rarity in Sweden, although a large number of produced models of this car just in it and sold, which to some extent be explained by the case of the blue monsters. It is not clear whether this blue Kadett began its life as Rallye Sprint, and it is completely irrelevant, honestly, because it is now powered by a monstrous LM7 based on LSX engine model, with LS1 heads and massive 80mm Borg Warner S480 turbine, placed on the sides. This combination is enough to rear wheels delivered a whopping 1,100 hp, and with 1.65 bar pushing destroy anything that gets between a car and a half mile. In video below, even completely modified Audi models with drive to all four wheels can not keep pace with it, while these machines from germany, especially 65mm turbo 80 quattro, by no means be underestimated.